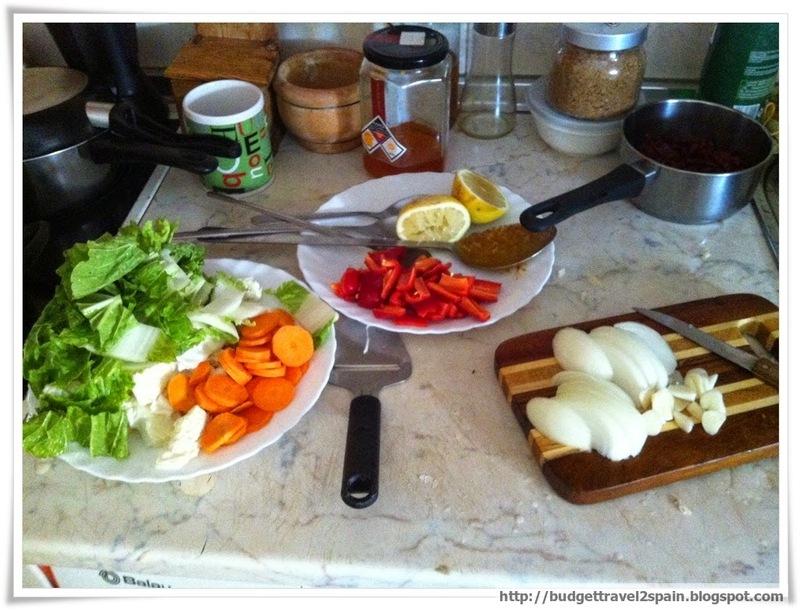 We stayed at Los Tilos Hotel in Granada for two nights and we paid only 84 euros ~ RM350. I booked the hotel from Booking.com and after checking Trivago.com for the cheapest price. 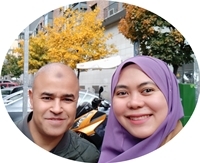 We did not want to splurge on the accommodation but we just want something centrally located, easily accessible from many tourist spots and do not break our piggy bank. Oh boy...I am glad I found Los Tilos Hotel. First thing first, location..location..location. Mind you, I am not a real estate agent...hahaha but Los Tilos Hotel's location is just spot on. 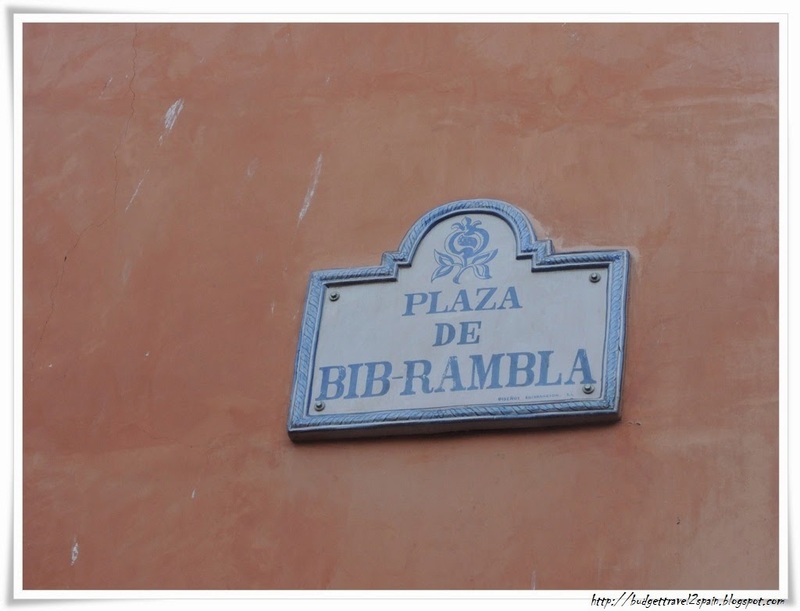 The hotel is in Plaza Bib-Rambla where everything is under the sun. I might exaggerating a bit but God...it is true! Many restaurants are just right under our nose. 3 to 5 minutes to the infamous Calle Reyes Católicos Road where many restaurants are situated and from this road we walked up to Albayzin! How about the quality and the service of Los Tilos Hotel? Check out Trip Advisor rating here. They rank 27th out of 128 hotels in Granada and the satisfaction rate? 85%!! Way to go...for a 2-stars. I am sorry, there's no pictures of the interior of our room because I forgot to take any! But..I am very impressed with the staffs - very amiable and ever willing to help us. Never without a smile. Muy amable! The check in time is at 13:00 hours but as we arrived at 8.30 a.m. at Los Tilos Hotel, the staff allowed us to check in at 10.30 a.m. I was really grateful for his understanding! 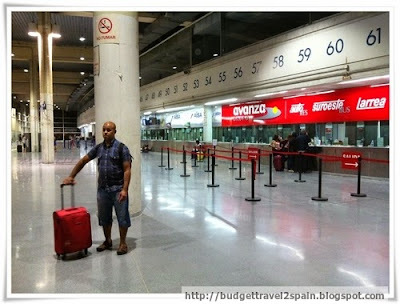 I have no complain for the hotel because we slept very little in the room as we always went out much to explore Granada. By the time we reached the hotel, we were beaten. Hot shower and a pillow that is all we need. 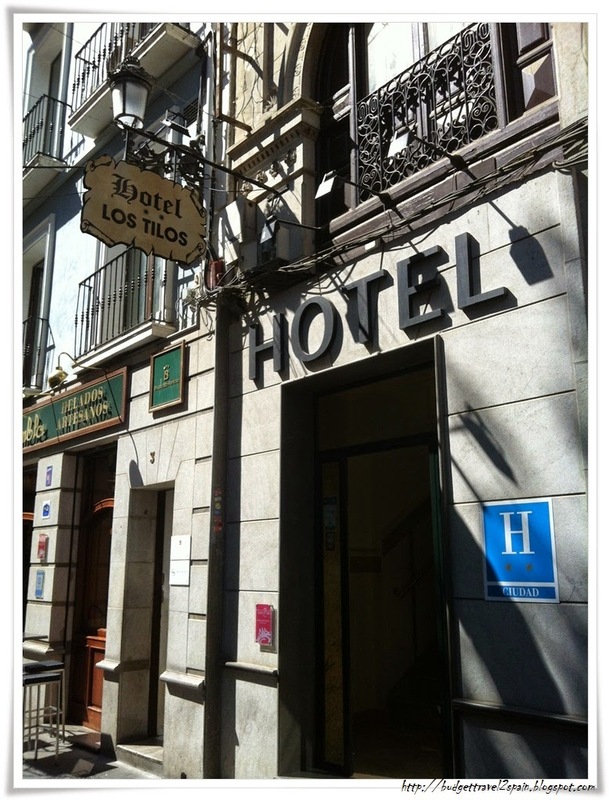 Anyway, check out Los Tilos Hotel if you want to go to Granada. 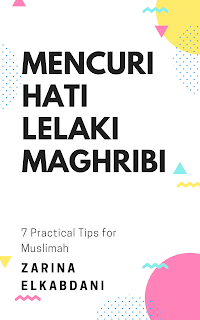 I personally recommend this one. 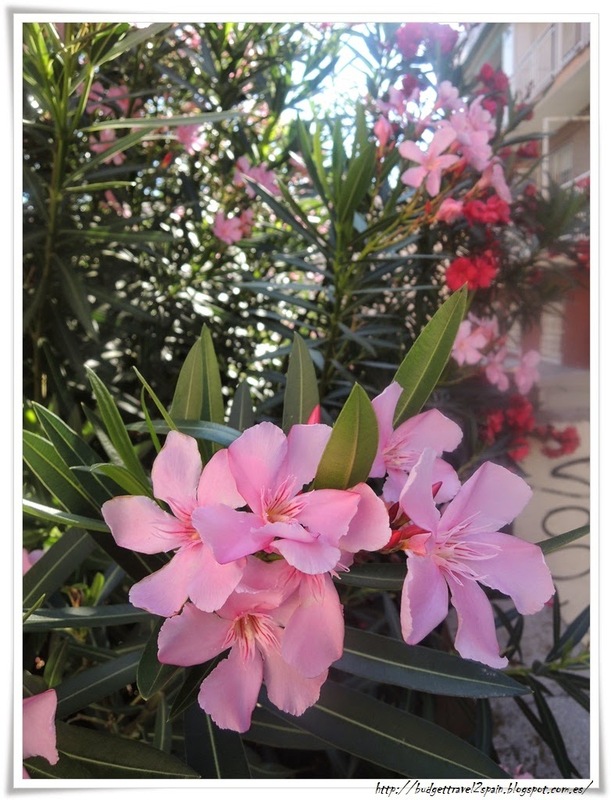 These pictures of summer flower in Spain was taken around early august in Madrid. There are a few and will try to update this post as and when I found more and more of them. Insha Allah. One of the unlisted seven wonders of the world is when you were stopped by a bunch of gorgeous flowers by the roadside and you unabashedly took a selca picture. A dear friend told me that it was a good ol' sign of aging. Hahahha...I believe it is true. Getting older makes me want to enjoy every second more. Not so much thinking on the stress of the daily routine and work in general but more towards refining my inner strength and perception of this world. So, when I came across a magnificent vista, a cute kid, a tame animal, a gentle grandmother...anything..I prayed to God that I am grateful for all His blessing on me. Alhamdulillah. 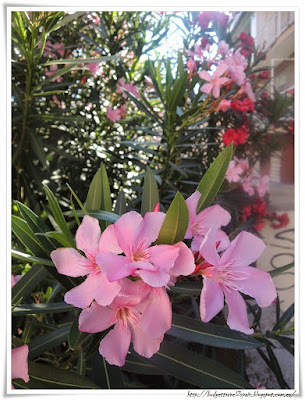 Anyone knows the name of this flower? 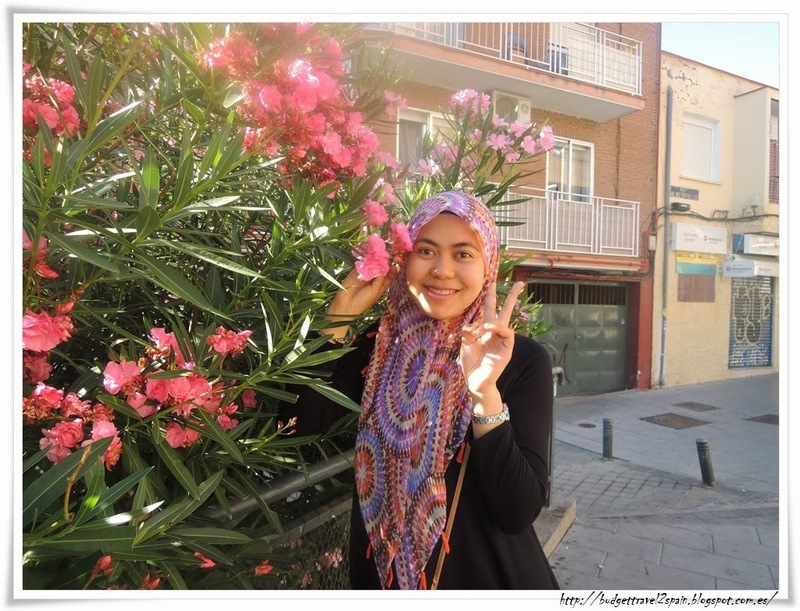 It grows a lot and bloomed prettily practically almost everywhere I go around Madrid. Only in summer I guess. 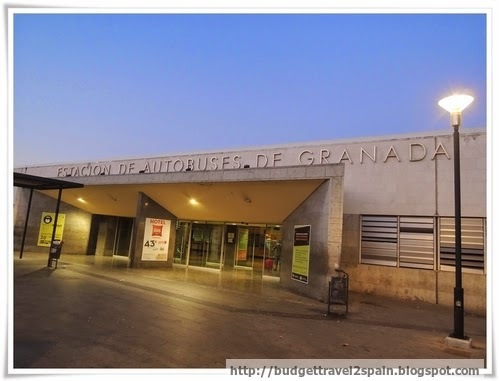 When we were about to reach Granada bus station, the bus driver turned on the lights in the bus and told us that we were near Granada bus station now and be prepared to alight. I saw a gas station called Red ahorro right before entering Granada bus station and it states the price at a signboard outside. 1.259 euro for the normal petrol, I guess. Then I saw, the tram track on the road and I wonder if there is any tram that we could try for a ride later? According to my husband it is a new addition to the historical city and I can't wait to try. I am game for anything!! Well...not every single thing..teeheee. It was 6.30 a.m. by the time we arrived and the bus station is still the same old same old as my husband said. He visited Granada last on 2005. 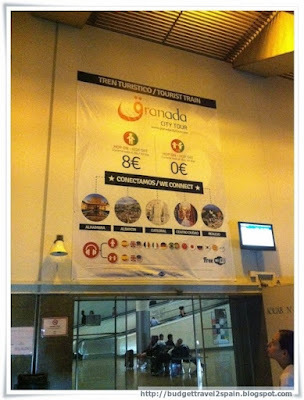 There was a very huge advertisement for the Granada city tour bus for only 8 euro a day which covered 5 areas around the city of Granada. Personally, I think that a day is just not enough to explore all those five places! Myself alone needs at least five hours to cover Alhambra. Honestly, we couldn't sleep well in the bus. It was stuffy and warm with very little to no air conditioner. So, once we touched down we just needed to head over to the restroom immediately. I was kinda surprised at how clean and spacey it was. After taking the ablution for Fajr prayer, we headed to the nearest garden (which was not so near) so we ended up praying at a parking lot. It was still dark at 7.00 a.m. and my intention to buy a transport ticket to save our transportation budget was dashed because the Estanco (tobacco kiosk) will be opened only at around 9.00 am but...little did I know as something better was waiting for us. We took the bus number SN1 to the central. My husband told me that in Granada, the bus drivers speak fluent English. So I was excited cause I don't have to embarrass myself with my poor handling of Spanish language. I asked the bus driver "How can I go to Plaza de Bib Rambla?" He speaks to me in fluent SPANISH!! My foxy husband!! You gonna be a meatloaf!! I understood not a single word because I was so flustered by his rapid reply! Actually he said that we need to transfer to another bus called LAC. SN1 ticket bus with bar code for the next transfer. Plus the best thing is we indeed saved our budget because any transfer (transborder) within 60 minutes is free. Yeay!! Only 1.20 euro. Our bus ticket has bar code imprinted and once we reached another stop where we had to transfer, simply use the bar code scanner at the other bus stop. Bar code scanner at LAC bus stop. We rode a two-coach detached bus called LAC. It's pretty new and just launched at the end of June 2014. 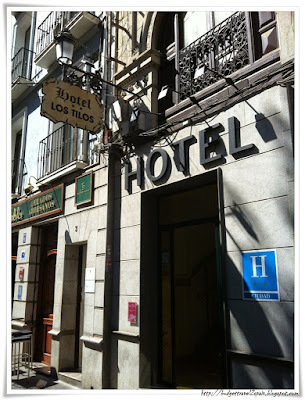 Once we heard that the next stop is Cathedral bus stop, we get off there and walked a bit to find our nest for the next few days - Los Tilos Hotel. 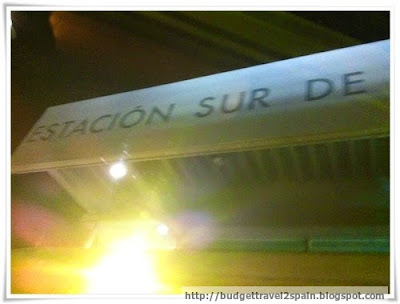 This was the second time that I took a bus from Estacion Sur de Madrid. 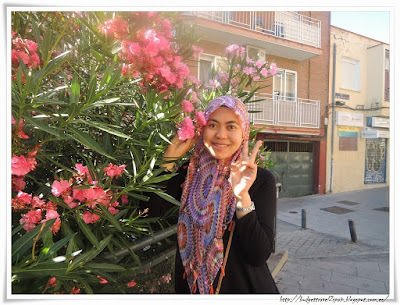 The first one was when we had a trip to Cordoba around November 2013. We bought bus tickets from the same company - ALSA. Actually, there are a few bus stations in Madrid and depending where your destination is, you will go to the the bus stations that have the bus services or routes.It's really no biggie. 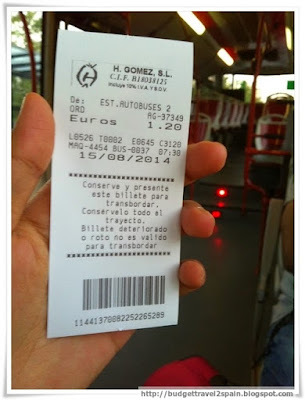 When you purchase your tickets online, just choose Madrid - in general as your departure point and then the result will show you the many bus stations that support your destination. 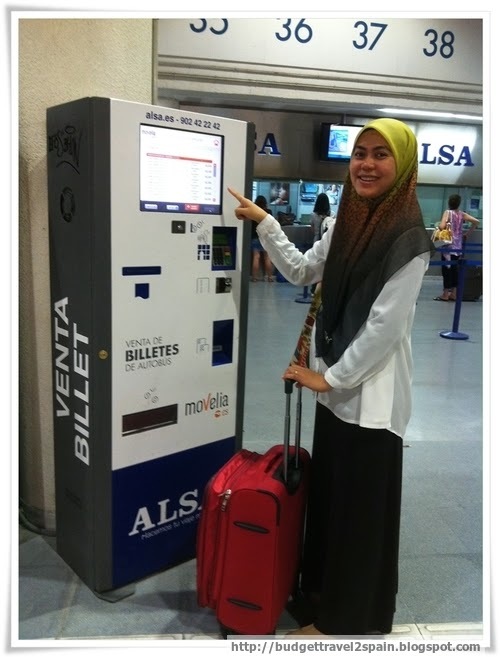 Another plus point when you purchase your ticket online with ALSA and not at Madrid Bus Station is that you will be able to compare the ticket prices. Because there is a price difference when you buy during peak season or peak hours with non-peak season or hours. Great, right? I thought of buying the tickets online this time from ALSA's website because there might be promotional rates but my husband has beaten me yet again by personally buying the tickets about two days earlier. His reason: because on the date that we planned to visit Granada, there is a fiesta (holiday) in Madrid, so everyone is on vacation mode or mood. 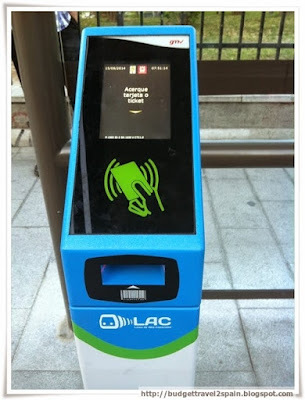 The bus station is located at Mendez Alvaro Station - Metro, Line 6 or Cercanias. It took about 30 minutes from our home at Villaverde Bajo. We took the metro from Line 3 at Villaverde Bajo-Cruce station and transited at Legazpi station to line 6 (Circular line) and alighted at Mendez Alvaro Station. We could take the Cercanias which is actually nearer to our home but then Cercanias ends at about 12 midnight and our bus to Granada was at 1.30a.m. Since Metro ends roughly at 2.00a.m. we chose via Metro instead. 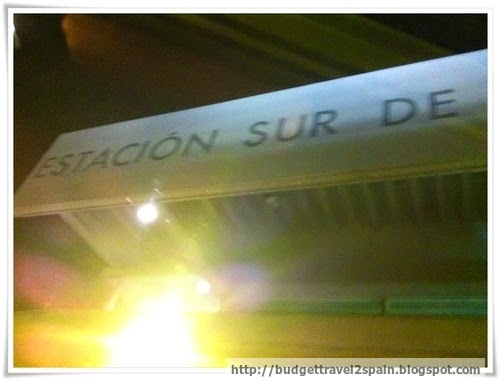 Alhamdulillah we reached Estacion Sur de Madrid on time and I had a pleasant time of clicking my shutter. Camera time! There is some construction works being done at the bus platform and it looks like that they gonna put up some sliding doors. Get those fumes from the bus off far far away from us..the passengers. Good eh? We sat in the bus for 5 hours with a 30 minutes break at a rest station. I slept the whole journey and it was kinda stuffy inside with little air conditioner to none but I could care less cause I was super duper sleepy. To Granada in 5 hours. Ciao. Now I feel like writing a post...ohh..lazy bum bum me. Tee hee.. Unlike the Eidulfitri or Aidilfitri celebration in Malaysia, for the first Syawal in my life...I was at the brink of tearing up. A mist of tears was clouding my eyes when I recited the Eid takbir,alone... while preparing the ingredients for the final iftar for Ramadan 1435H. Allahyarham Tan Sri P. Ramlee's Dendang Perantau cannot be more sad than what I am feeling now. My husband? He laughed at me! He said, I should be more sad of saying goodbye to Ramadhan instead. 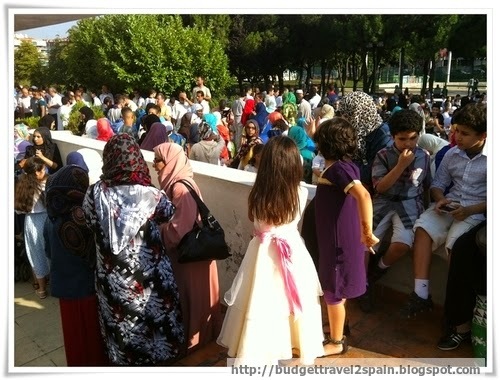 After Eid prayer at Islamic Center near Barrio de La Concepcion metro station. Solidarity with the Palestinians. I kid you not. I was kinda heartless in this Israeli-Palestine conflict up until the last occupation. But then...after marrying a Moroccan and watching the Arab countries news day in and day out which is mainly in Arabic (a language which I should at least show some keen on learning but still getting to it), I could simply cry after seeing the faces of the dead children hold by their parents or kin. No Eid takbir. I did not hear this recited in the mosque or maybe there was some problem with my ears but I was pretty sure they did not. 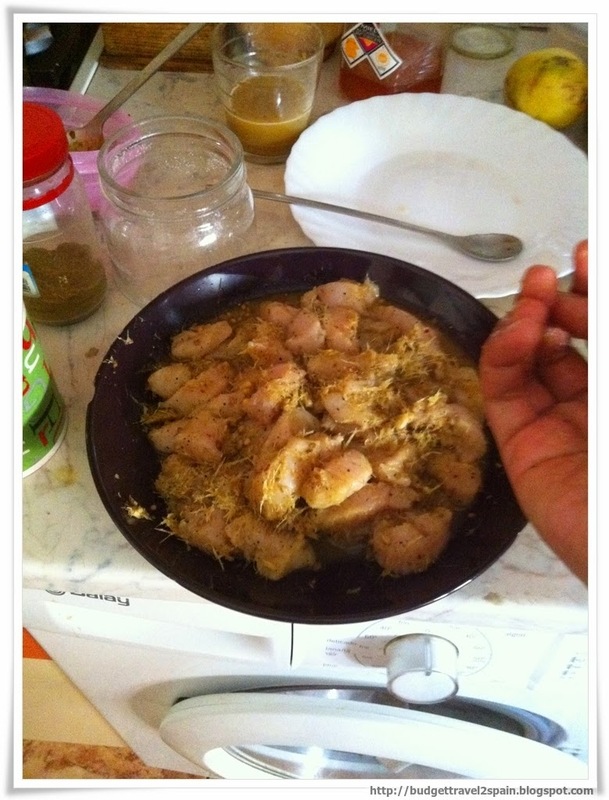 I was far from my family for real this time, had to cook Eid´s food on my own (no help from my mom whatsoever). A confession: I never cook rendang or yang sewaktu dengannya all my life. Sumpah! Hehehe. No house visiting or open house as you call it in Malaysia. 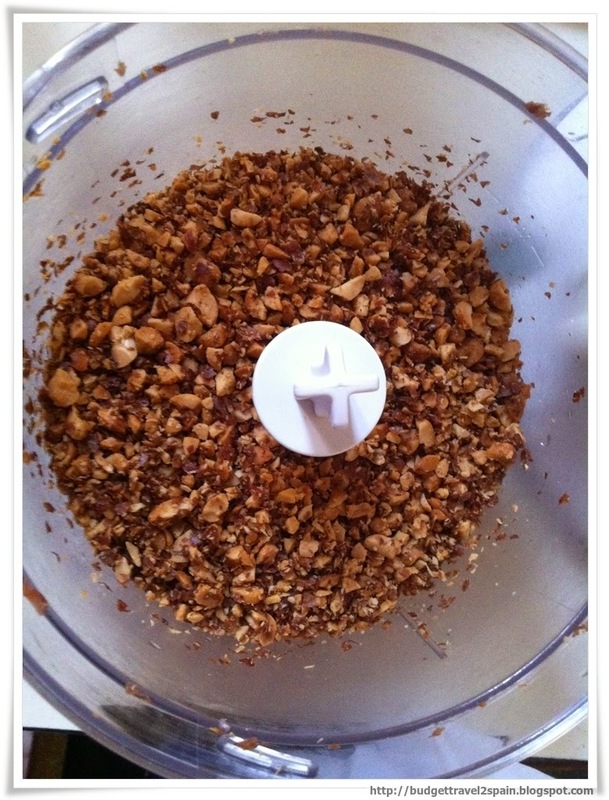 No kuih raya...don´t ask me why I didn´t make it myself. My answer will be blurrrrrred this time. There´s a specific reason which I prefer not to reveal this time. A very happy man celebrating Eid with his wife for the first time. 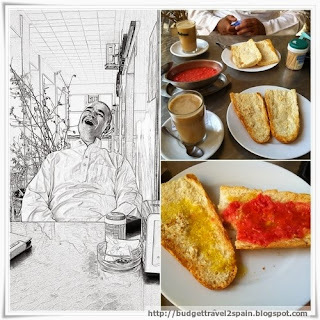 After Eid prayer, we went to a cafe´ near Barrio de la Concepcion Station for a breakfast. Honestly, after a long month of fasting and having a meal in the morning is pretty weird. We had our normal breakfast (desayuno) of bread (barra) with tomato and olive oil along with a cup of the usual cafe´ latte. Only then, after reaching home, I pulled my sleeves up and attcked my kitchen!! Let´s see what I cooked!! Yada..yada..I am seriously shy to even post these. Well...take it away. No comment is highly appreciated hahaha. 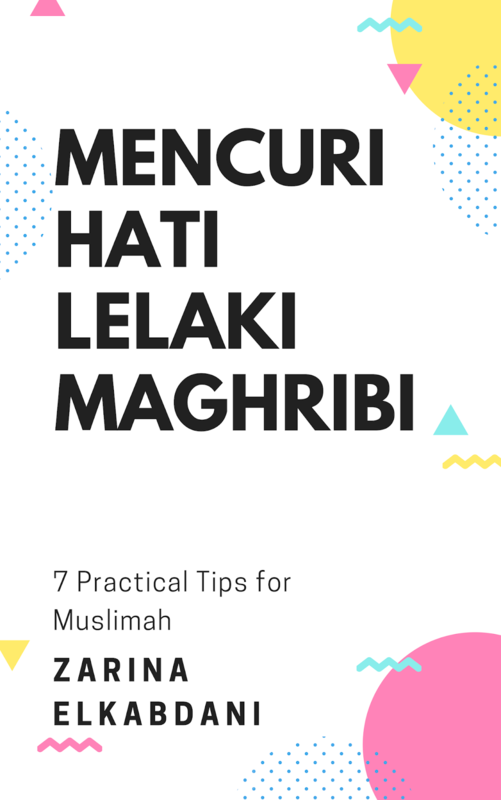 The first one is the must have meat rendang. Before coming back to Madrid, I have my own cheat sheet..haha. I am a ´kaki bangku´ in cooking so I cannot dare to enter my kitchen without my honorable assistant. Tada!! 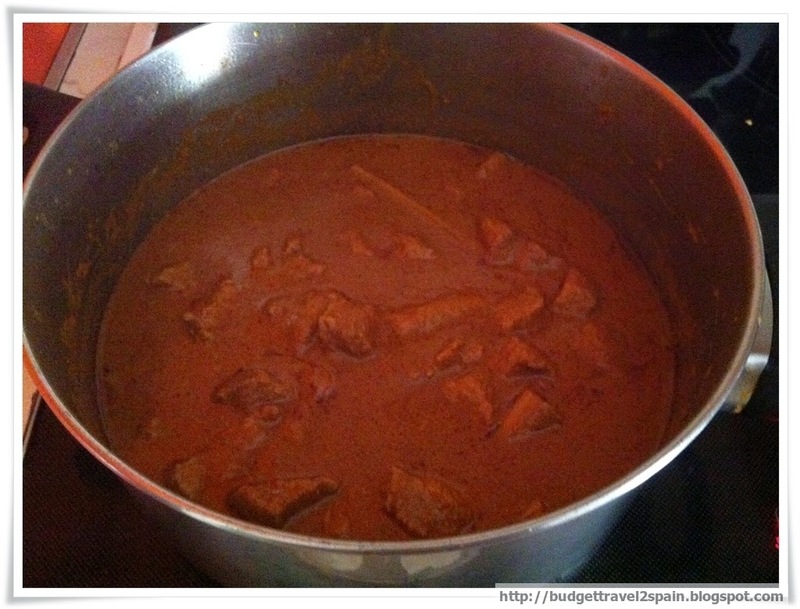 Saved my day but it definitely didn´t feel as close to the authentic rendang. I forgot to grab a pack of kerisik so it adds up to the non-authenticity value. Anyway..my next meal is fried chicken satay. I nailed this one definitely cause I had seen my father made this countless times. The only difference is...I fried, not grilled. The third..the peanut sauce to accompany the fried chicken satay. But.............. I seriously failed big time. There was no exception and I would simply give myself an F because...... 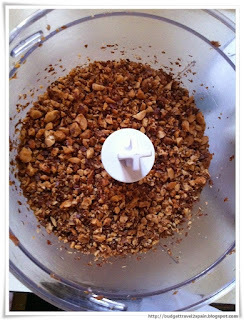 I did not fried the peanuts well. The sauce tasted so crude. T__T Gawd help me!! The last one was...Kuah lodeh. As the grumpy Mr H did not want any source of soy bean in this lodeh...no tofu, no tempe, no foo chook...and NO! Don´t you dare ask me why Mr H hates soy bean so much. ^__^ Am not gonna entertain your question. Hahaha. Ask Mr Google please. Well...four meals are quite aplenty albeit not done by a 5 star Michelin chef. The Palestinians did not even have the liberty to celebrate Eid so am I supposed to wail against the wall just because of my disastrous satay sauce?? Nope. To mention a few.. To my precious parents and family back home, my beloved friends, and whoever who knows me; I may have done many errors in my life which could have impacted your life and I greatly regret it. To err is human and Allah, the Almighty is the Most Forgiving. I wish for the best Eid Mubarak 1435H and Maaf Zahir Batin.